If you’re a technology teacher, coach, integrator, or facilitator, you know that the measure of success with any technology integration is when it starts being used in any and every class. Are students and teachers using these tools and devices outside of the tech/STEM lab? If they are, then you are truly succeeding in STEM integration. These integration-boosting resources are built right into Tynker for Schools! The lessons in the STEM Coding courses included with Tynker for Schools integrate coding directly into English, Social Studies, Science, Math, Art, and whatever classes you see fit. In this video shared below, see what else you can create with our vast library of STEM lessons, and get coding today! Get Tynker STEM Lessons Now! 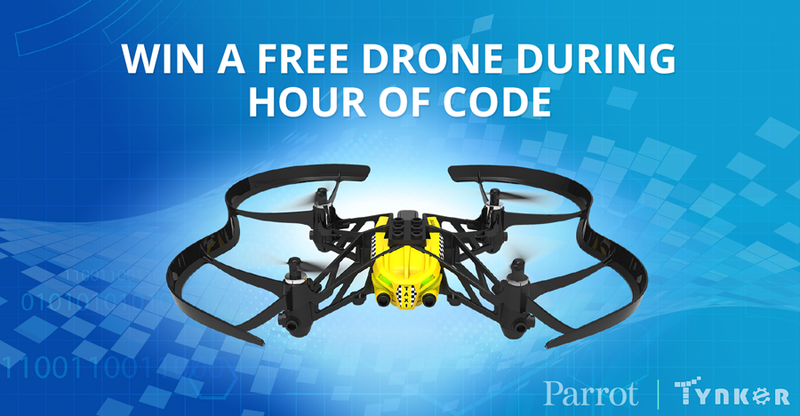 Win a Free Drone this Hour of Code!